Sectors of the economy in the Pacific Islands consist of various sectors, such as agriculture, mining, trade, and tourism. Although most residents work as farmers, but there is one sector which is the mainstay of society and the government of Bangka Belitung. This sector is the tourism sector. 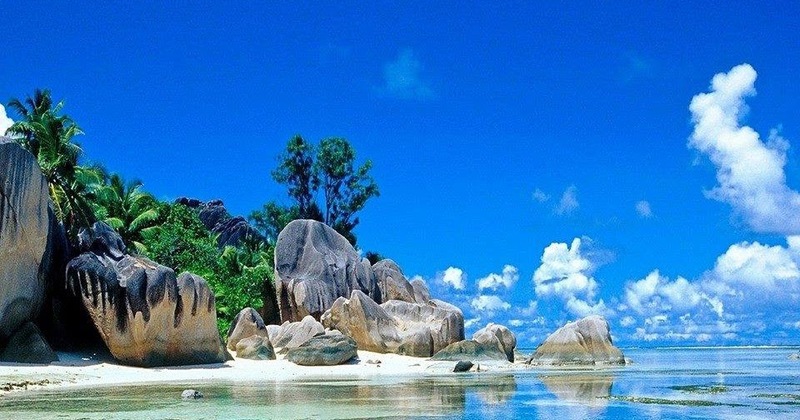 Bangka Belitung is one area which is potentially a very nice natural to develop tourism. Moreover Belitungnya island. There are so many places of tourism on the island of Belitung suitable for a visit while visiting there. Some of the sights in Bangka Belitung is shaped beach, because the area has a lot of Belitung Island beach. Nonetheless, Belitung Island also has other tourist attractions besides the beach. 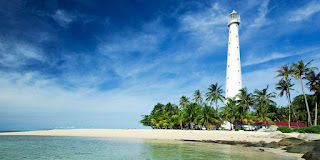 To be sure all the tourist attractions on the island of Bangka Belitung is very beautiful, and everyone needs to know. Memperak Island, is one of the tourist attractions in Belitung are not yet widely known by the people and the tourists. 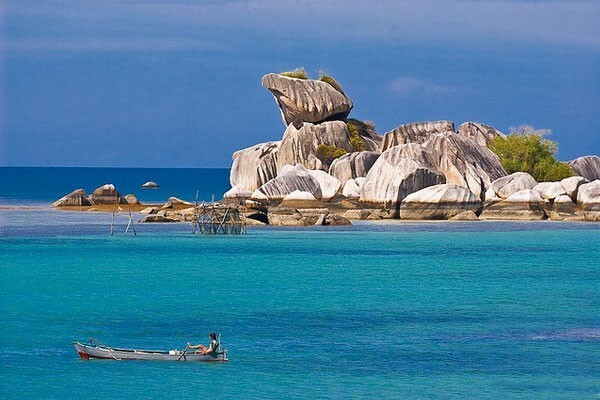 Nevertheless, it has the charm of the island Memperak that are well known throughout the island of Belitung. Memperak Island is located in East Belitung province. Memperak island will be presenting to you the blue water there is somewhat colored greenish so it will look very clear and clean. This will make the eyes and our mind becomes fresh again. In addition to crystal clear sea water, underwater view lait on the island is also an amazing sight. Underwater scenery on this island is very beautiful. That's why Memperak Island is known as one of the wonderful snorkeling in the Pacific Islands region. Next Tourist attractions is Lengkuas Island. 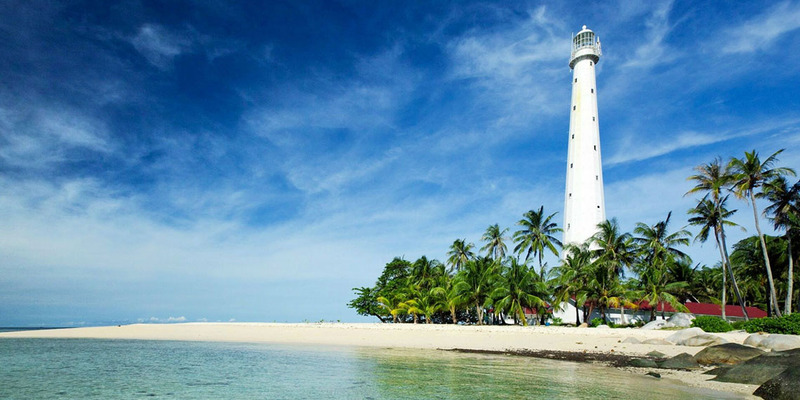 Belitung island has also become one of the island which has a characteristic that is a lighthouse whose age is very old but still active today. This lighthouse is one of the Dutch heritage building built in 1882. One of the charms that lured in Lengkuas Island this is where the lighthouse and the expanse of blue and crystal clear sea water, combined with the presence of granite rocks there. Scenery like this became one of the sights strongly and very charming. The presence of granite rocks indeed is the hallmark of the beaches in Bangka Belitung. Tourist attractions in Lengkuas Island has an area of ​​approximately 1 hectare. These sights are able to regale you view many times as much beauty. The trick is to climb the Putuh lighthouse which has a height of 50 meters, you will find spectacular scenery on the island of Lengkuas Island. But for those of you who do not like to climb, or too tired if it had to climb, it does not have to reach the top lighthouse to be able to see the view outside. This is because on every floor of the lighthouse has a window facing different directions. Enchantment see the view from the top is one attraction that always invite the arrival of tourists vacationing here. Lengkuas Island is located in Sijuk, Belitung province. Tourism Belitung has not separated from the beach. After we explore two islands, next comes the turn of the beach. 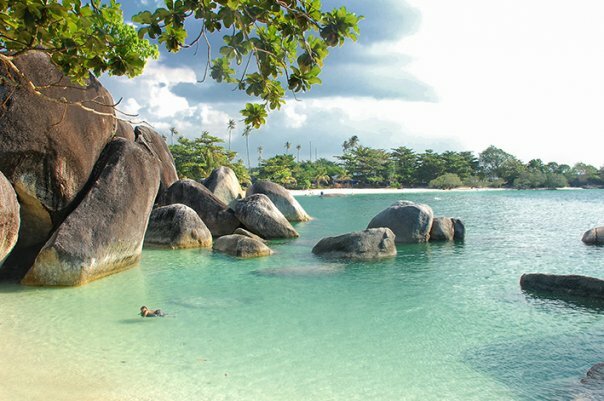 One of the beaches into tourist attractions in Belitung is Kelayang Cape Coast. Tanjung Kelayang are located in a radius of 27 kilometers from the center Tanjungpandan. You need to know that this Kelayang Cape Coast is one of the tourist destinations in the Pacific Islands are very popular among domestic and international tourists. In the event Sil Indonesia, hundreds of boats yachts from different countries will stop at Tanjung Keyang dantai this. Alluring charm possessed by this beach is the very beautiful granite rocks with a formation that resembles a bird's head, and combined with the white expanse of clean white sand. In addition, the beach is a grand event often held various national and international maritime. One of them is the Sail Wakatibi- Belitong. The beach is the beach of Tanjung Kelayang Yeng is located in Sijuk, Belitung province. The beach is a popular beach in Belitung, especially once used as a filming location for the national movie "Laskar Pelangi" well-known to foreign countries. This beach can be said to be a very charming beach. This beach is also one of the beaches that are popular among connoisseurs of the trip or the traveler in addition to other beaches, the beach Parai mackerel. Yet another beautiful beach is located in Sijuk, Belitung, and located in a radius of 30 kilometers from the city center Tanjungpandan. As another shores typical of Bangka Belitung, this beach also offers a view in the form of blue water, clean white sand, and combined with granite rocks that pitih and beautiful. In addition, various water sports rides are provided at this beach. The tourists who visit this beach usually perform a variety of activities. Several activities are often carried by tourists are sunbathing, swimming, snorkeling, fishing, riding a jetski, to walk by using a canoe. Public facilities are also provided at this beach, such as restaurants and hotels, so if you want to visit and stay at this beach area with the family, will be very easy because many facilities are provided. Berahu hill is not a hill in the form of a mound of earth. 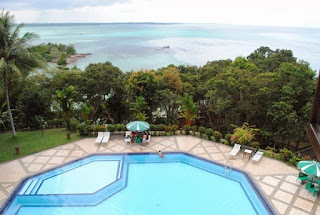 Berahu hill is a mix between a restaurant and a bungalow or villa is located in the beautiful coast in the Pacific Islands. Berahu hill is located near Cape Coast High. Bukit Berahu of this we can see a beautiful view of the beach. If we want to beach bungalow, we have to go down about 97 stairs. The beach here is part of a beach bungalow, so the sensation private beach will we get if we were on this beach. Sensations that we will not find in other areas. Punai beach is a beach located in the southeast Pacific Islands. This beach is located precisely in the village of Tanjung Kelumpang. The beach is a little different than most beaches in the Pacific Islands, where granite is a granite-owned large-size large. This beach has a granite-sized rocks into small pieces. In front of this beach there is a small island by island naman pigeon, because the first on the island pigeon with wild birds. To reach this island, we can walk away if the sea water was receding. 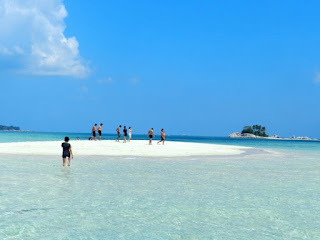 Other tourist attractions in Belitung is a sand island. Sand Island is actually a pile of sand that will be visible only if the sea water was receding. And if the tides, then the island will sink. The island is only half the size of a football field. Many tourists who come here if it is receding, using fishing boats. This small island usually used only for the dismissal, because of its small size is also not able to load a lot of people, and only at certain times to visit. Kaolin Lake sebanarnya not a tourist place open to the public. 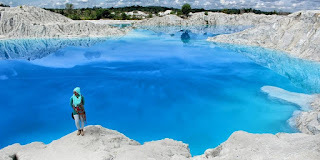 Kaolin lake is actually one of the mining wealth in Belitung. The combination of the lake water is blue with white kaolin to make this place beautiful and hunted by potografer. So that this place used to traveled long- Gradually, though not as common elsewhere. Lake kaolin is also not as busy as other attractions, so it was quite peaceful place for tourists who want to visit a deserted feel the natural beauty plus see the color of the lake water is so pretty.